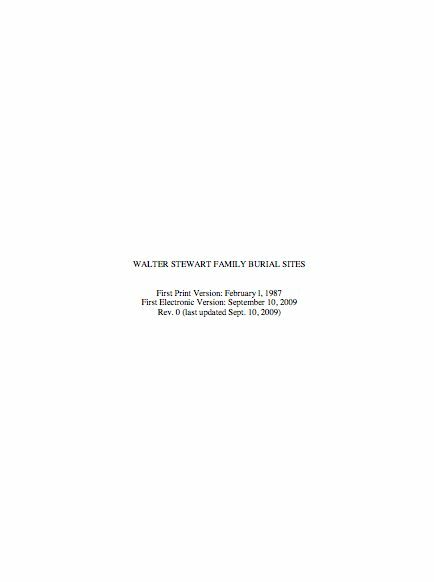 The Walter Stewart Family Burial Index, is a little-known type-written document produced in 1987 by 31714 William Rawlinson. It has been converted to a PDF file and posted here for use by family members. The file lists burial location for a number of early Stewarts by cemetery. If anyone would like to help with updating family records like this one please contact Judy Smith ("jmlesslie_777 at yahoo.com"). Check out the Photos page for pictures of some family gravestones.